If you’re planning on doing some home improvements or renovations, there’s no better place to start than in the bathroom. The tiny closet-sized bathrooms of the past are just that – things of the past. Today’s bathrooms are more spacious and often provide more amenities. If you want to open up some of the space in your bathroom, consider installing a corner shower. 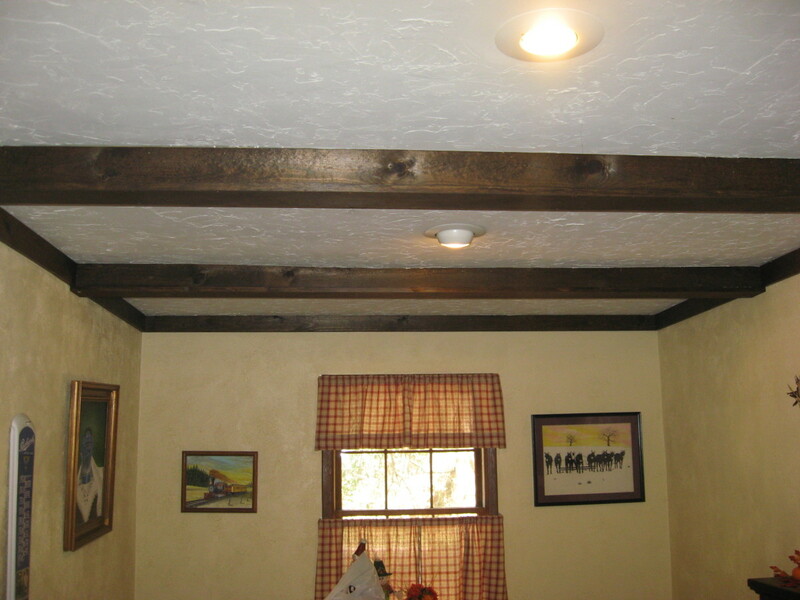 For some great ideas, visit Plumbing Point dot com. Traditional bathtub-shower units take a lot of floor space. With a corner shower, however, you’ll still have a place to bathe, but you won’t be wasting nearly as much space, especially since the corner shower will be utilizing a corner of the bathroom. Even if you already have an existing bathtub in the room, a corner shower will offer a place for a quick rinse, without using as much hot water as a tub bath. 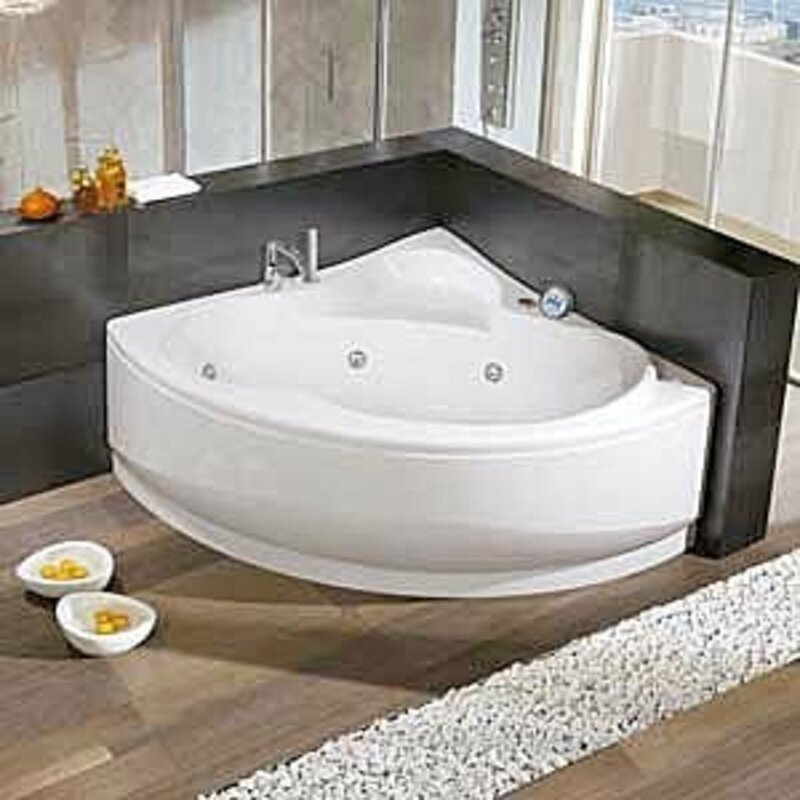 Corner showers are often part of bathrooms that have tubs that lack a shower, like claw foot tubs and whirlpool tubs. Many senior citizens and others with mobility problems who might have difficulty getting in and out of a bathtub add a corner shower because of their entry and exit ease. 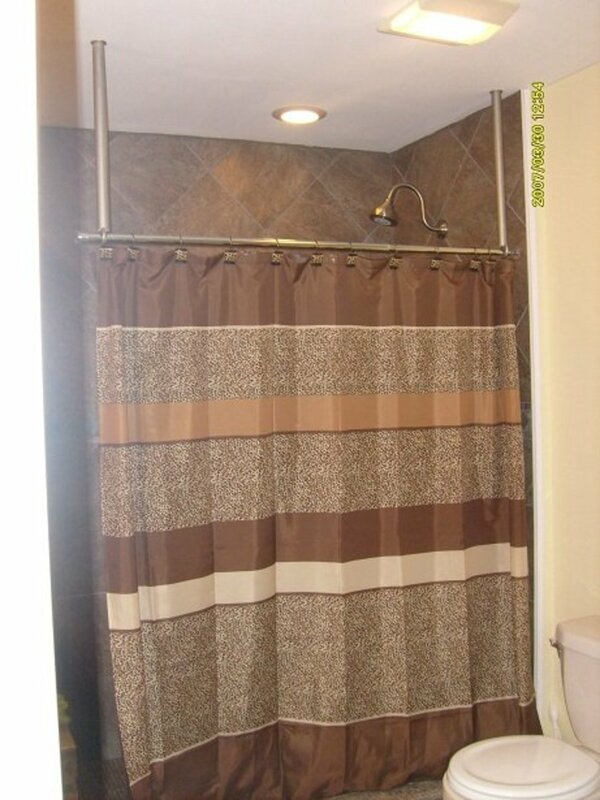 You can find corner showers in several shapes, including square, rectangular, and triangular. Some also have a gently curved outside edge. A relatively new design that quickly gaining in popularity is the neo angle shower. To see an example of a neo angle shower enclosure, view the photo below. You can even get a corner shower in a round shape for a truly unique look. If you have a unique shape in mind, you can have the corner shower custom made to fit your specifications. Corner showers also come in several standard sizes, ranging from small to luxurious. Again, you can always have one custom made to suit your needs. Basically, a corner shower has three main components: the shower base, the shower enclosure, and the shower door. 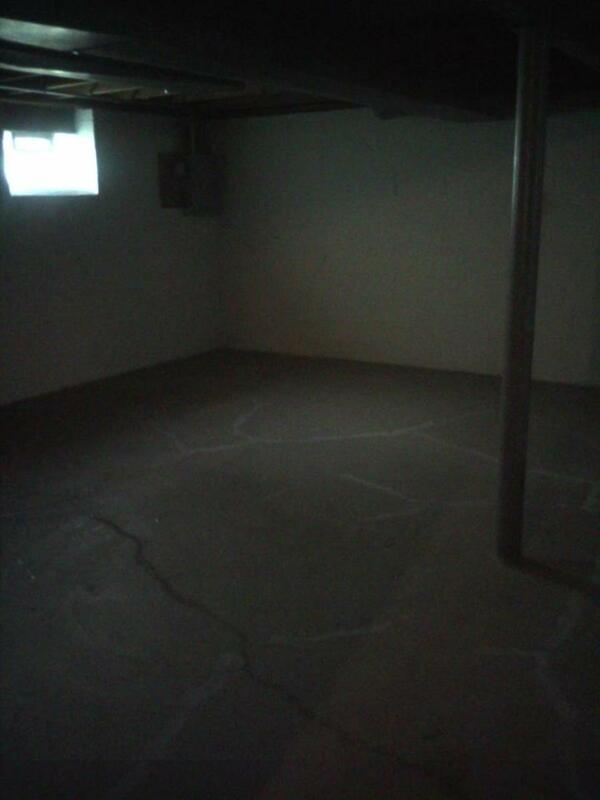 The shower base is the bottom part of the shower that rests on the floor and encloses the drain. Shower bases are available in acrylic, fiberglass, stone resin, and cultured stone. The acrylic and fiberglass corner shower bases come in a wide variety of colors, so you won’t have a problem finding one to match or complement your bathroom décor. The cultured stone shower bases are beautiful and last forever, but for some homeowners, their high cost is prohibitive. To get the same look of cultured stone without the hefty price tag, you might consider a shower base made of stone resin. Corner shower enclosures are available in clear, frosted, or tinted in shades to complement the rest of the bathroom. The tinted and frosted models provide more privacy, but the clear shower doors will make your bathroom appear larger. If your bathroom walls are tiled and sealed, you’ll only need to install the other two walls of the corner shower because the corner of the bathroom will function as two sides of the enclosure. 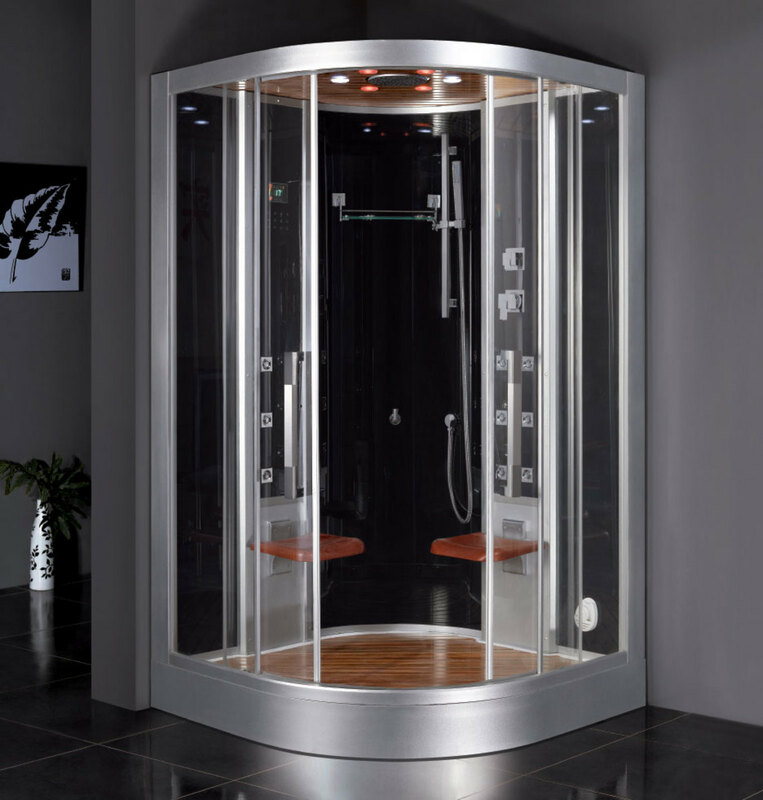 If you choose a neo angle shower enclosure, you would need to add two sides and a door. 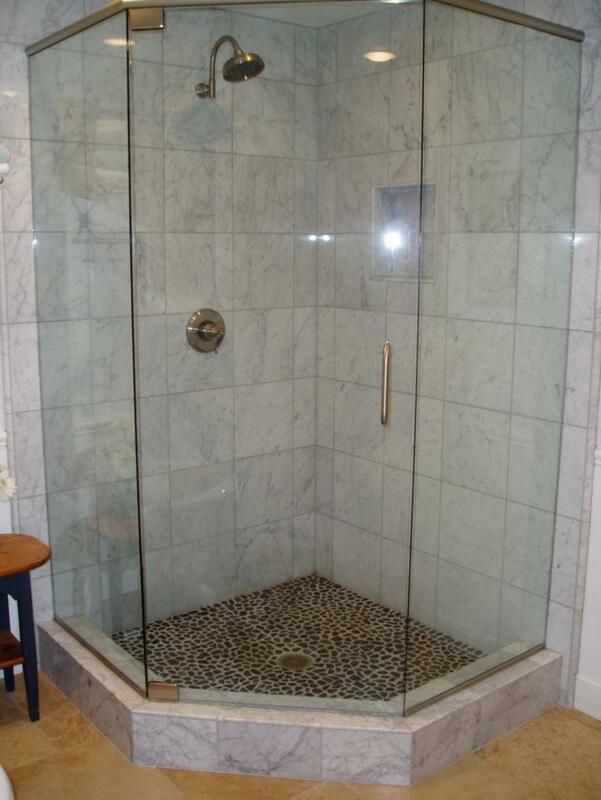 Shower doors for your corner shower are typically made of glass or acrylic. 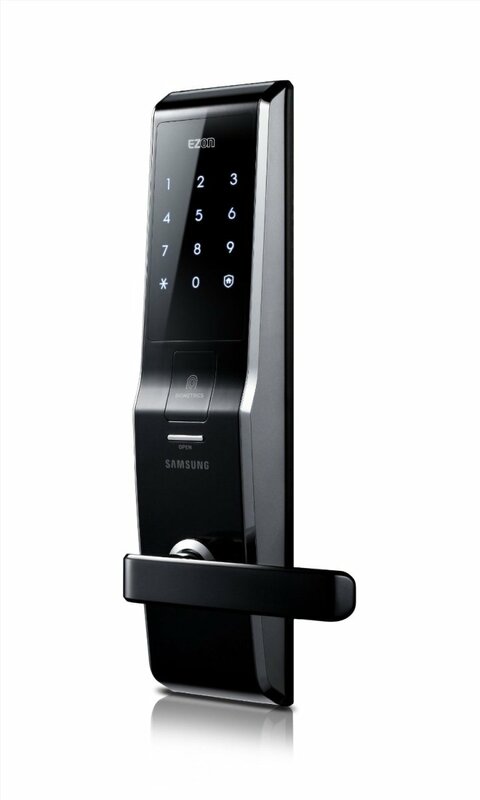 They might open outward or slide, depending on your specific needs. The shower door may also be curved to fit a shower base that curves outward. This type of base and shower door make for a roomier shower. Herbi, the corner showers are too cute! What an awesome space saver!! Love this! Hi, sheila! I had a shower like that once in a hotel, and I loved it! Hi, Bpop. I'm thinking of tearing out my tub and putting in a corner shower. Of course, by "I," I mean my husband. lol! My favorite shower was in a hospital, where there was a large tiled room with the shower in one corner. No walls, just the plumbing and a drain. What I like about the one you wrote about is the glass, rather than being shut in. I love the shower and I love corners! Thank you for a great hub but my bank manager says noooo. I could with it but there you are. Kaie, my hubby can do anything!